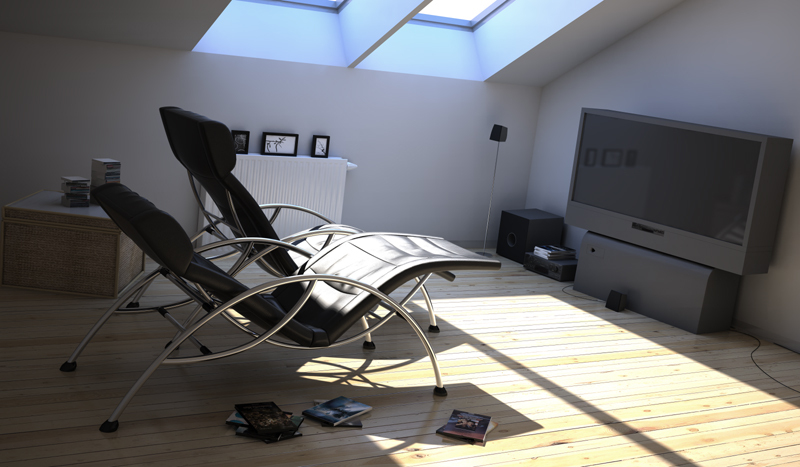 VirtualRender is yet another LightWave renderer. The difference from other solutions is that it does not use physical memory for framebuffer allowing to render the biggest imaginable scenes without using virtual memory, which slow down rendering a lot, or which immediately result in complete failure at initialization stage. That's why it's called "virtual" - rendered regions are saved immediately to hard disk without unnecessary taking memory during rendering rest of image. VirtualRender is the first LightWave bucket renderer that splits framebuffer to small, user definable size regions. Each render node in your renderfarm now can work on the same frame of image telling other nodes which regions are in progress and which are rendered, and at the end there is done composition of all rendered regions into one with unlimited resolution, limitted only by available hard disk space. We were successfully rendering scenes with dual ScreamerNet setup on single machine which was taking 110 MB each node, 220 MB both, at resolution 16384x16384. LightWave renderer even failed to initialize. At 640x480 this scene was eating 800 MB of memory. render any resolution images, limitted only by available space of your hard disk. using complete renderfarm power into rendering complex single test frame quicker than traditional F9. Use your renderfarm also in production instead of just final animation render! saving memory usage, reducing pagefile swap and rendering quicker. rendering scenes that normally failed to init due to lack of memory. rendering can be break and resumed at later time. As long as, scene is untouched and control folder was not flushed. does not support pixel-filters and image-filters due to LW SDK limits. For the same reason as other 3rd party renderers. working with ScreamerNet renderfarms, couple Layout instances on single or couple machines, or other LWSN based render controllers, such as ButterflyNetRender. supporting external renderers. Currently it supports Kray. Added in v1.5. Control Folder button opens directory requester window, where you pick up special temporary data folder. It should contain only VirtualRender data. If you're going to use VirtualRender on renderfarm it must be LAN accessible shared disk. All renderfarm nodes must be able to read and write to this location. It's always good idea to set this to network location, this way you won't need to fix scenes prior sending scene to renderfarm. You can select the same control folder where data were written to resume rendering after stopping or crashing. Flush Control Folder button permanently deletes all content of control folder. You should use this button when you don't want to resume stopped rendering (alternative is selecting new empty control folder). Open Control Folder button opens Windows explorer window. You can drag'n'drop rendered RAW regions and frames to f.e. Photoshop. Break button stops rendering to specified control folder. It'll break the all rendering nodes as soon as they finish rendering currently allocated regions (checking it more often would be too much network overhead). The smaller regions, the faster effect of this button. After pressing it you should press Cancel Render in Network Render window or in renderfarm controller. Press it once and it will break even hundered nodes. Does not need to repeat pressing many times! Width and Height is final frame resolution. It is strongly advised to match original LightWave camera aspect ratio! Region Preset is quick way to setup predefined Region Width & Height. Region Width & Height is size of region that's rendered in single pass. The bigger region, the slower reaction of Break but less network overhead and less files in Control Folder. Recommended values are 128, 256 and 512. The more complex scene, the single region can be smaller. Mode specifies whether you want to render Still frame using your whole renderfarm, or traditional image Sequence. Use Virtual Render's Make Still Frame tool at specified by you frame before rendering still frame in renderfarm. Make sure you have scene backup! Anti-Alias Passes. Camera Properties settings are no longer in use, therefore this option must be in VirtualRender settings. Previewing Area is only available during still frame rendering to indicate what has been finished, what is in progress and what is not yet rendered. Green color means which regions are finished, yellow color are regions currently in progress (the more renderfarm nodes you have, the longer is this area), and red are regions not yet allocated for rendering by any node. If crash for any reason or power off happened during rendering with VirtualRender, usually you don't have to re-render whole frame. Find right Regions_Finished.dat file in Control Folder and duplicate it with new name Regions.dat. This way allocated region but not finished will be rendered again. Download http://www2.trueart.eu/Products/Plug-Ins/VirtualRender/Graphics/Janusz_Scene_1_16000_9333.jpg 1st example VirtualRender and Kray rendered in renderfarm at 16000x9333 (10.960 MB). Download http://www2.trueart.eu/Products/Plug-Ins/VirtualRender/Graphics/Room_Scene_16000_10000.jpg 2nd example VirtualRender and Kray rendered in renderfarm at 16000x10000 (5.975 MB). 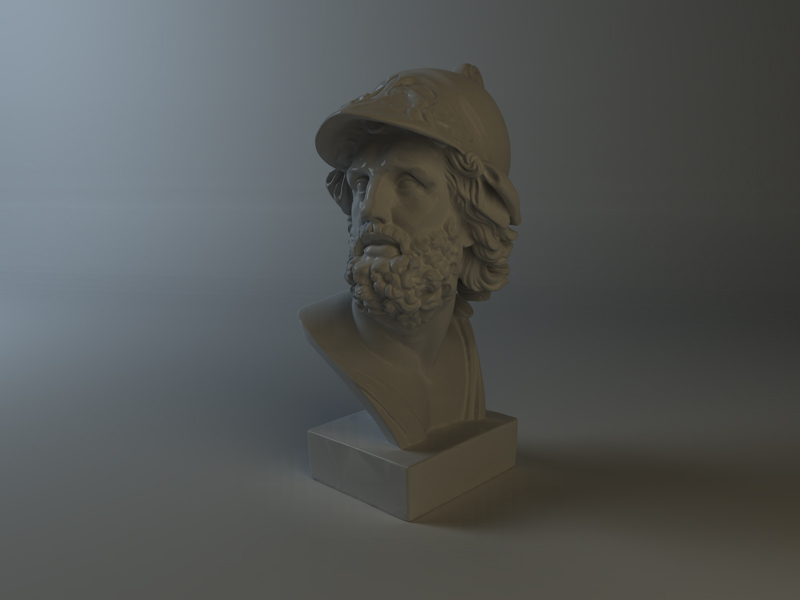 Download http://www2.trueart.eu/Products/Plug-Ins/VirtualRender/Graphics/Statua_Scene_16000_12000.jpg 3rd example VirtualRender and Kray rendered in renderfarm at 16000x12000 (5.697 MB). 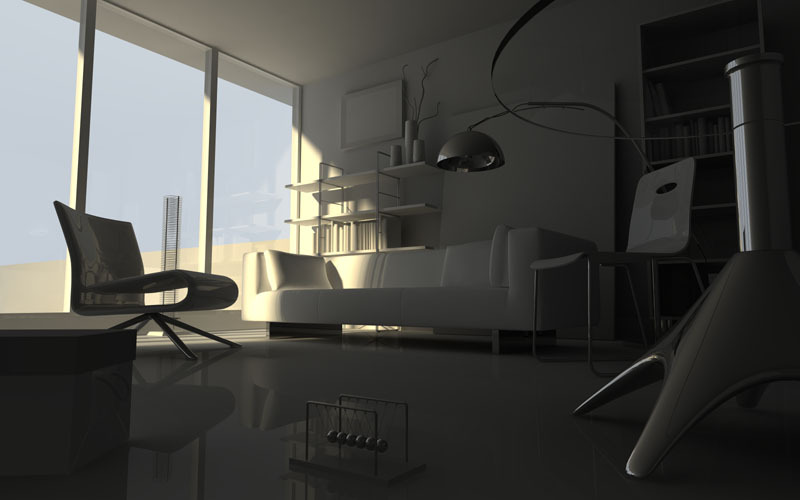 VirtualRender is intended to render as close as possible to LightWave, therefore example Jure's scenes are matching LightWave but with 10 times bigger resolution. Download http://www2.trueart.eu/Products/Plug-Ins/VirtualRender/Graphics/Jure_Scene_1.rar 1st example VirtualRender at 16000x9000, and equivalent LightWave v9.2 at 1600x900. (5.751 MB). Download http://www2.trueart.eu/Products/Plug-Ins/VirtualRender/Graphics/Jure_Scene_1.rar 2nd example VirtualRender at 16000x9000, and equivalent LightWave v9.2 at 1600x900. (2.375 MB). Fixed compatibility with LightWave v10.x. Added image saving option to preview window. Added new Region Preset - Frame. Added new VirtualRender Image Filter for importing frames with just 1 region to regular LightWave internal buffers. Useful especially for Kray users with BNR controller - no need to composite regions to frames later. Fixed VirtualRender Composite tool when Region Width was different than Region Height. The price for a single license (product installed on the one machine) is 200 USD (United States Dollars).